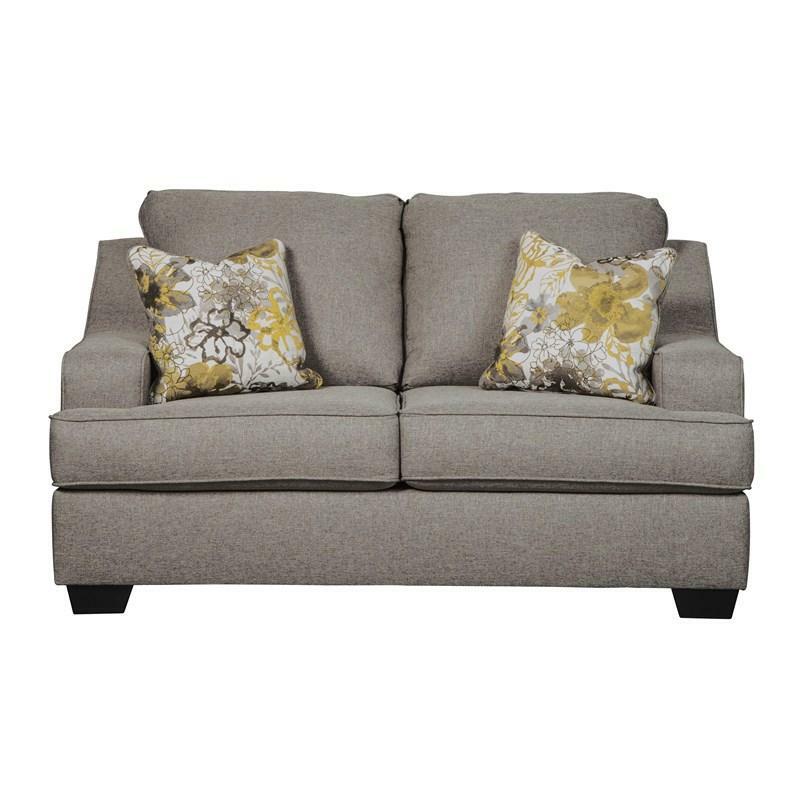 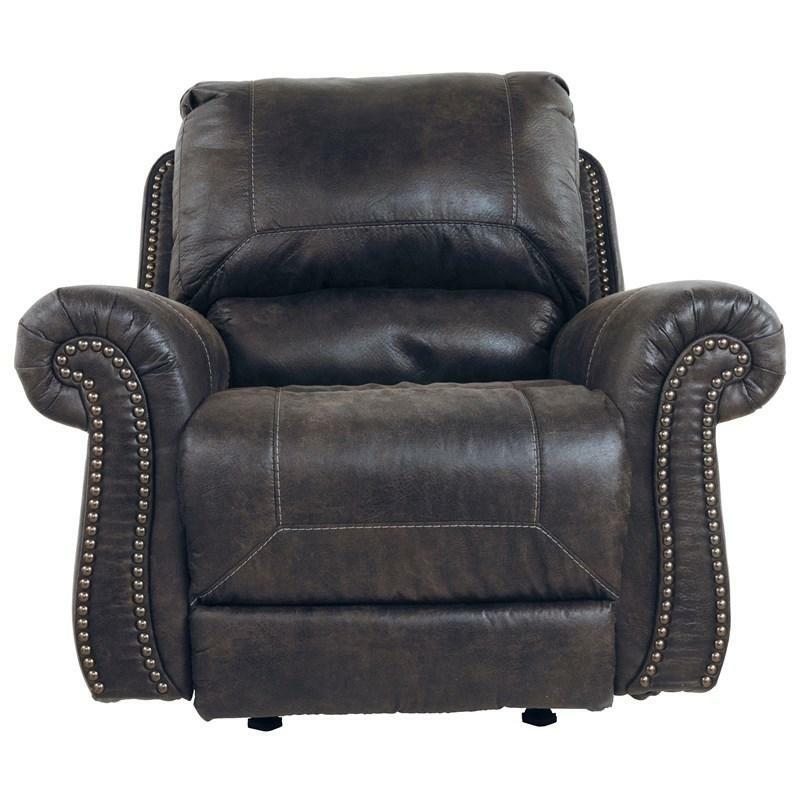 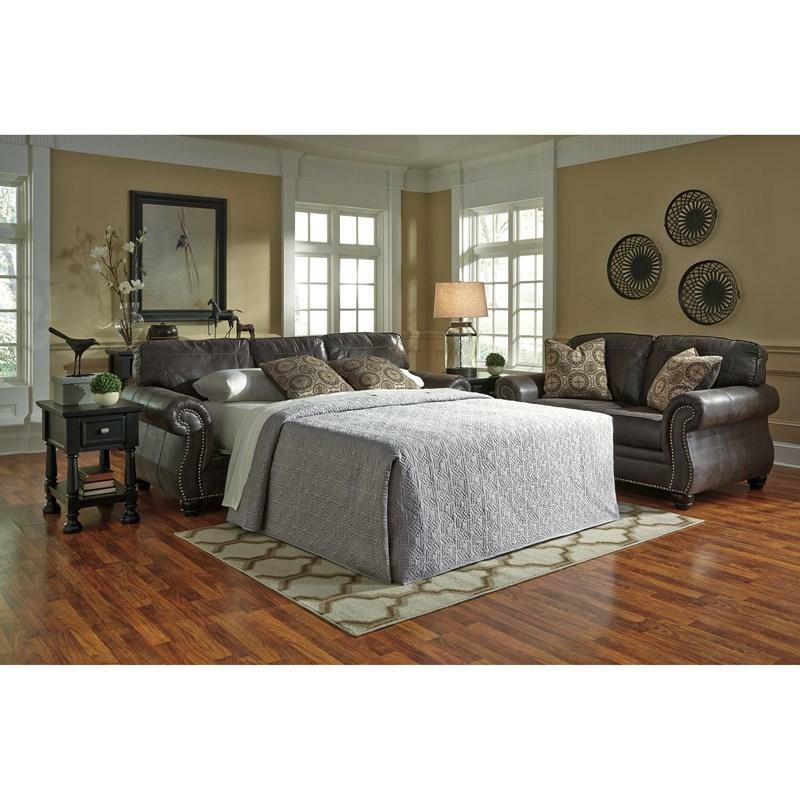 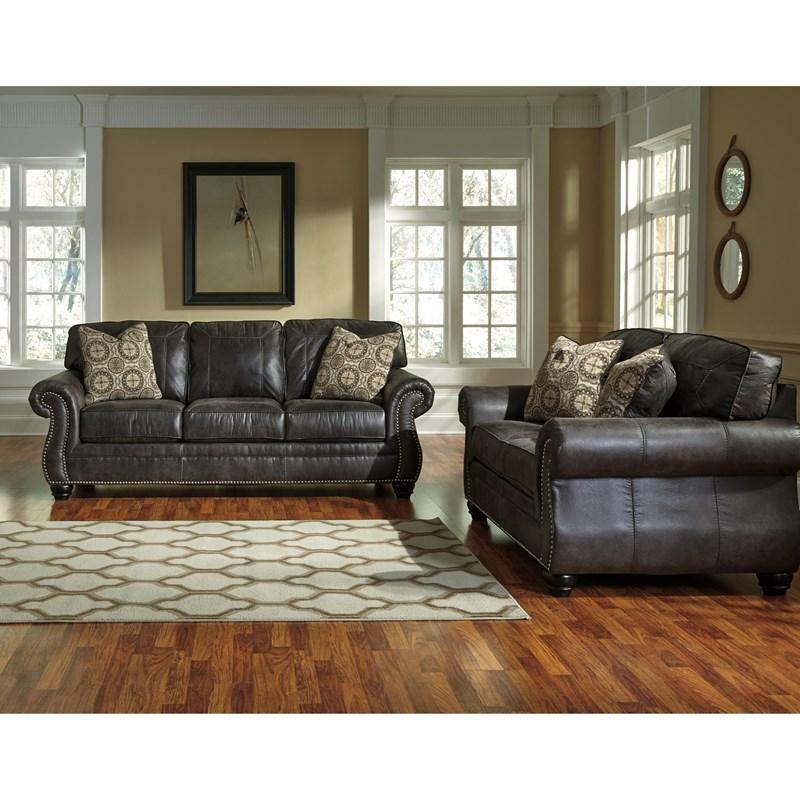 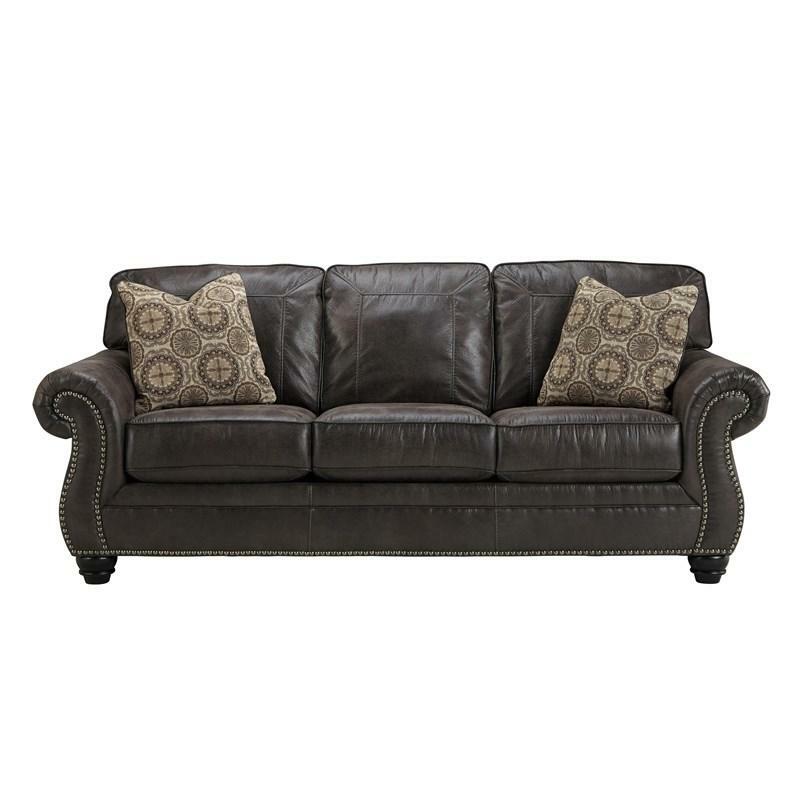 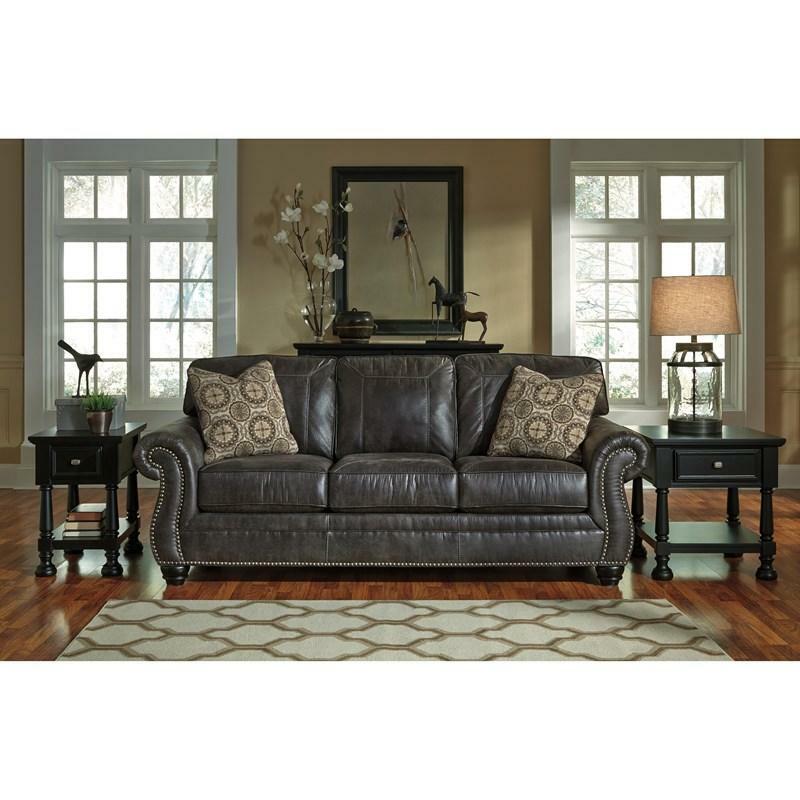 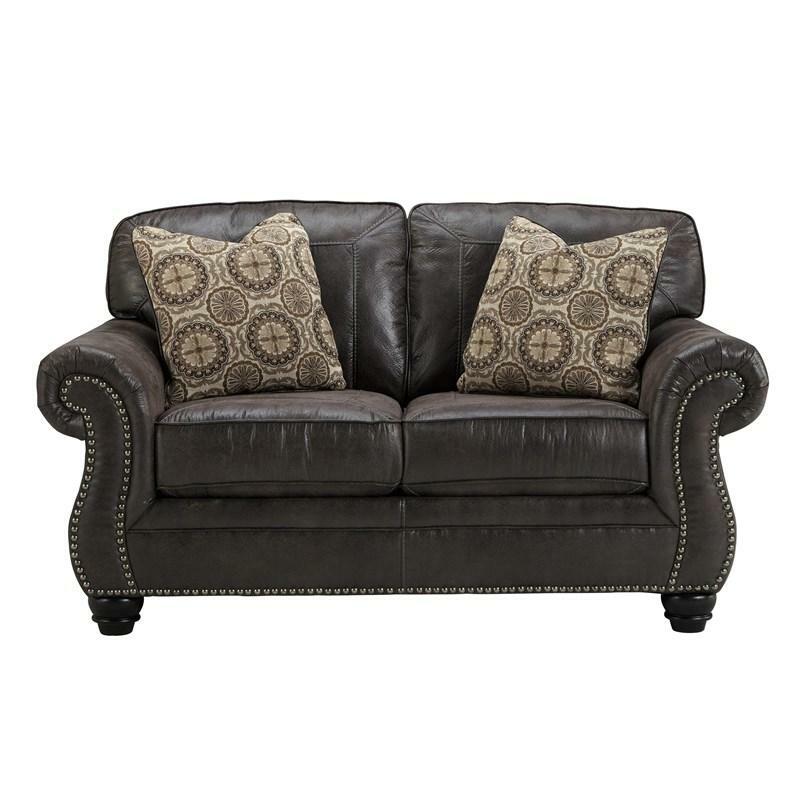 Rich with the traditional beauty of nail head accents and stylish window pane stitched details, the Benchcraft “Breville-Espresso” queen sofa sleeper offers plush comfort elegantly wrapped within a rich faux leather upholstery. 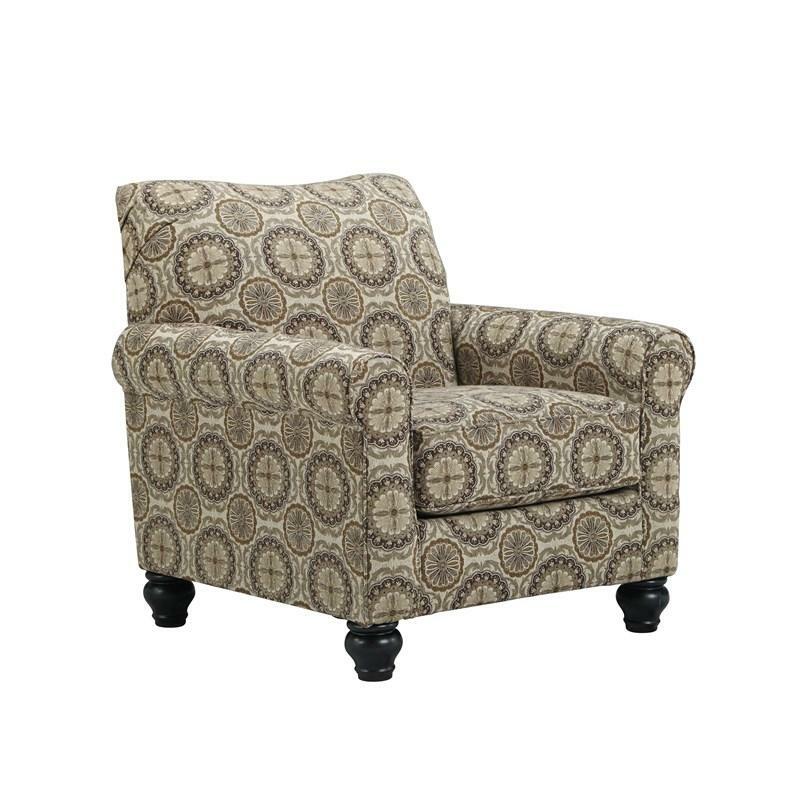 The sweeping rolled arms and rich finished bun feet perfectly work together to magically transform the décor of any living room environment. 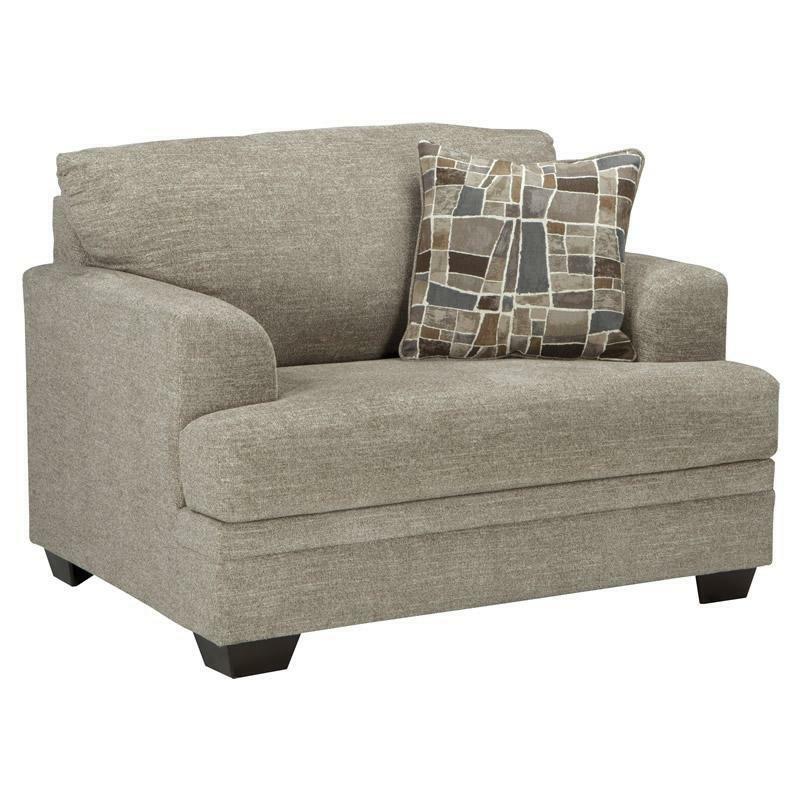 Back Top of cushion to top of back 18"
Seat Loose seat cushions; Seat depth 22.5"; Seat height 20.5"